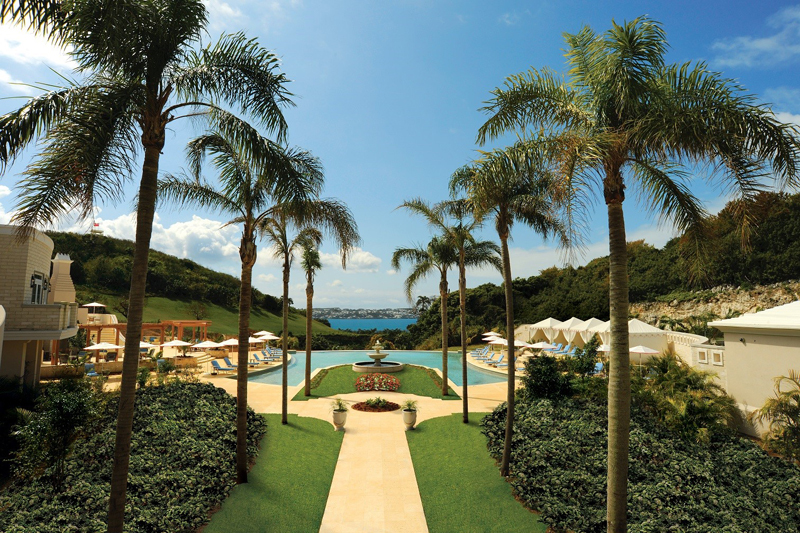 On January 2nd, 2018, Rosewood Bermuda — formerly known as Rosewood Tucker’s Point — will close to “undergo a comprehensive $25 million re-imagination”, which will include a redesign of the guestrooms, Beach Club, Golf Clubhouse and Spa, as well as “enhanced meeting space” and “elevated food and beverage outlets,” with the resort set to reopen in April 2018. The announcement said, “On January 2, 2018, the ultra-luxury Rosewood Bermuda, formerly known as Rosewood Tucker’s Point, will close to undergo a comprehensive $25 million re-imagination that will elevate every aspect of the award-winning resort. “The renovation will include the complete redesign of the resort’s guestrooms, Beach Club, Golf Clubhouse and Sense, A Rosewood Spa, as well as enhanced meeting space and new and elevated food and beverage outlets and concepts. Upon reopening in April 2018, the landmark property will debut as Rosewood Bermuda. “The guiding philosophy of Rosewood Hotels & Resorts, one of the world’s most respected ultra-luxury hotel groups, is A Sense of Place in which each property reflects its location’s history, culture and sensibilities. 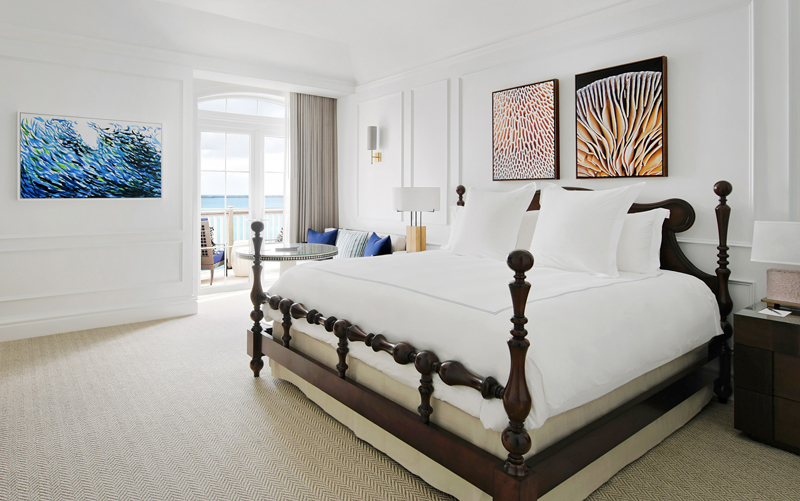 In keeping with this philosophy, the new hotel design will showcase furnishings and artwork from local Bermudian artists and artisans in a sophisticated blend of the past and the present. “The design of the guestrooms and suites, lobby and new Conservatory Bar and Lounge will be led by Dawson Design Associates. London-based designer, Alexander Waterworth Interior Ltd., has been selected to re-imagine The Point restaurant, Tucker’s Bar, Beach Club and Golf Clubhouse. Together, these designers will seamlessly combine the elegance of Bermuda’s colonial English heritage with the vibrancy of its indigenous culture to create a truly unique and authentic Bermudian experience. “Upon arrival, guests will be welcomed via an elegant lobby more akin to a private manor house than a resort. At the heart of the new lobby experience, an inviting new Conservatory Bar and atrium courtyard will serve as the perfect retreat for guests to relax and enjoy coffee, afternoon tea or craft cocktails. “With its twin fireplaces, black and white hand-painted tile floor and elegant beamed ceilings, the new bar is a fusion of both old and new. Accented by a casual collection of inviting furniture and relaxed, friendly Bermudian service, the space will be perfectly complemented by the intimacy of the rustic courtyard. In addition to the new bar and atrium, the lobby will feature improved retail offerings. Enhanced and expanded meeting space will also be available on the second floor. “Rosewood Bermuda’s 92 guestrooms and suites will be transformed into intimate, residential style retreats designed to capture Bermuda’s indigenous culture and stunning natural surroundings. Featuring bespoke furniture, contemporary local art and hand-selected fabrics that reflect the local fauna and beach, the new rooms will speak to the island’s English colonial heritage in a contemporary way. “The soft neutral color palate is elevated with azure blue accents and local, hand-crafted artwork and accessories that create a sophisticated and lively atmosphere that pays homage to the rich historical influences of the Bermudian culture and the overwhelming natural beauty of the island. “The resort’s signature restaurant will reopen as the Island Brasserie, which will be a vibrant and informal space that will introduce guests to local Bermudian cuisine through traditional dishes that combine the island’s rich culinary traditions with new world flavors. This warm, colonial-inspired space, accented by the renowned hand-painted murals, will serve elevated island comfort food while Tucker’s Bar will transform into a rum bar dedicated to teaching guests about the history of the island’s beloved spirit. “The all-new Conservatory Bar and Lounge will become the beating heart of the resort where guests and locals alike will enjoy hand-crafted British gin cocktails and spirits enhanced by fresh herbs, house-made infusions and the latest mixology techniques. Decorated with local art, hand-painted tiles and contemporary furniture, the Conservatory Bar and Lounge will also become a destination for morning coffee and afternoon tea. “The Beach Club restaurant will be re-imagined, providing an immersive dining experience inspired by the vibrant fish markets of Bermuda. A neutral color palate will allow the restaurant’s furnishings to seamlessly blend in with the stunning pink sand beach. With the bar serving refreshing, island-inspired cocktails and a menu of fresh, expertly-prepared seafood dishes, this oceanfront restaurant will be the ultimate destination for understated coastal dining. “Surrounded by the serenity of the fairway, the Golf Clubhouse restaurant, Sul Verde, will invite guests to enjoy elevated, traditional southern Italian cuisine in a rustic yet upscale setting. Boasting an authentic menu featuring the highest-quality Italian ingredients and a warm, convivial atmosphere, Sul Verde is reminiscent of an authentic family dinner in the heart of Italy. “To further enhance Rosewood Bermuda’s health and wellness offerings, the property will introduce a modernized Sense, A Rosewood Spa and new fitness center featuring state-of-the-art Technogym equipment. To complement the renovation, Rosewood Bermuda will unveil a variety of new fitness programs and spa treatments that seamlessly integrate the essence of the island into the health and wellness experience. “Located on Bermuda’s largest private, pink sand beach, the renowned Beach Club will be re-imagined and will reclaim its position as the ultimate destination for sun-soaked relaxation and casual seaside dining. Enhancements will include brand new, exclusive cabanas, an upgraded bar, new umbrellas, pool and beach furniture, and expanded luxury services and amenities. “Additionally, the current restaurant will be transformed into the new Beach Club restaurant. Inspired by Bermuda’s lively fish markets, the Beach Club restaurant will metamorphose into an immersive dining experience boasting a bar serving imaginative, beachside cocktails and a menu of seasonal, locally-sourced seafood dishes. “Guests and members alike will delight in the new Golf Clubhouse boasting updated décor and a redesigned bar and restaurant. Additionally, guests will enjoy a world-class golf experience with the introduction of new, state-of-the-art amenities including 44 new golf carts and an upgraded golf course featuring enhanced course aesthetics. “Sul Verde, the Golf Clubhouse restaurant, will be re-conceptualized to bring the rustic warmth and traditional spirit of the southern Italian region of Campania to the fairways. Situated next to Sul Verde, The Grille Room will also undergo a full refresh. This is smokescreen. They are already building on the land new HOUSES to be sold. they are pretending to renovate their hotel meanwhile getting an SDO to build on the golf course. This was black Bermudian land and you kicked these people off to build a resort. Now you are selling off the land to rich people to build their houses. BEST look into this, they should not be allowed to build on the land to sell off to foreigners. Good Luck, hope it pays off! Wonder if this is partly about the Loren taking trade? Also, wouldn’t this be a suitable property for a casino? Surely the Tucker’s Town crowd Would avail of this new Monaco? Thanks to the BTA for getting tourism rolling again in Bda. The Hotel was bought after being in receivership for several years. The new owners are spending money and have a detailed plan for the renovation, completely disassociated with the Loren’s development which is only about 34 rooms- and the thanks should be to the owners for having the vision and faith in Bermuda and the property. They have not yet built any additional houses (although one must assume they will), and the property already had SDOs granted in 1995, 2001 and 2011. Ann ah Pond Dog is still ah Pond Dog.